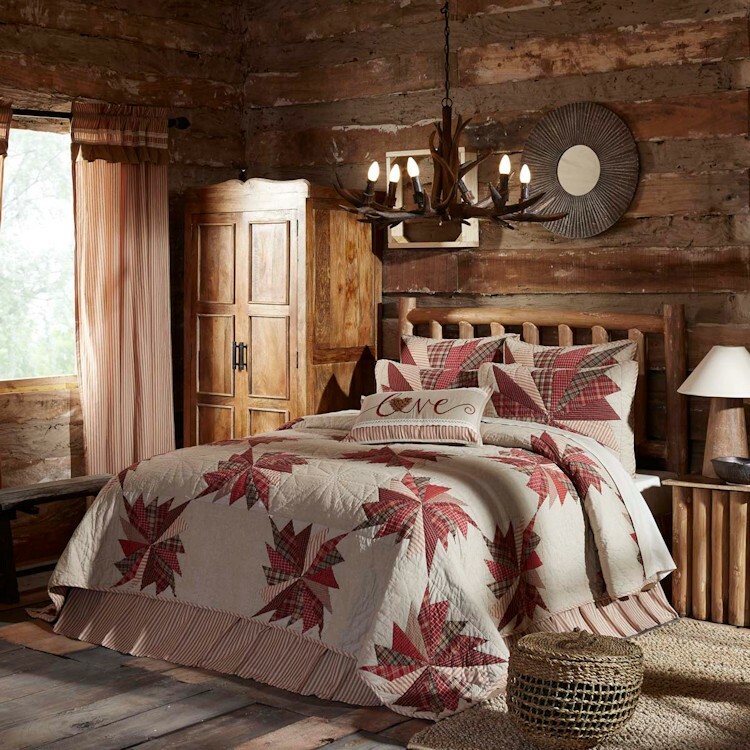 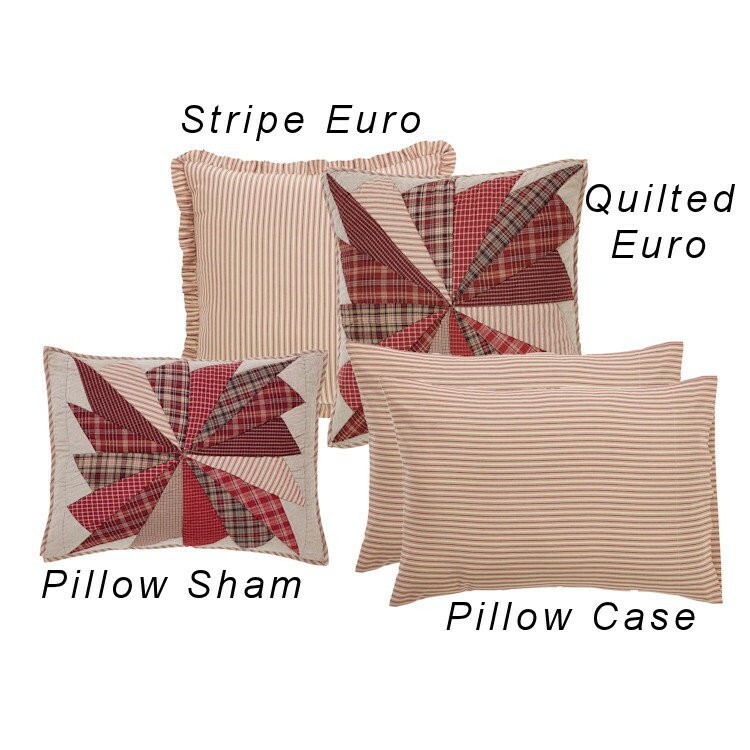 The pinwheel layout of the Ozark Quilts is a rich barn red, beige, black plaid, and stripes embodying a true Farmhouse appeal. The quilts reverse to barn red stripes on prairie yellow base. 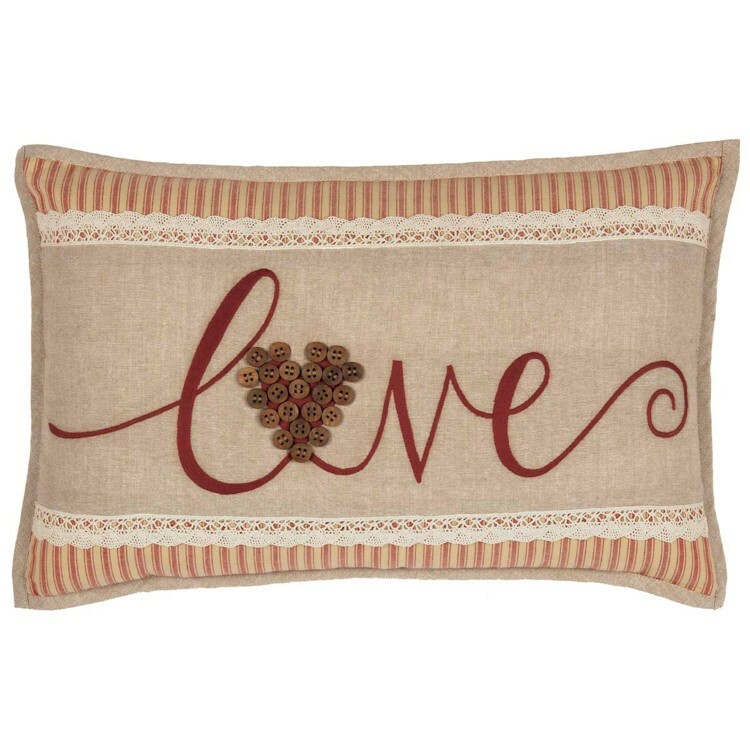 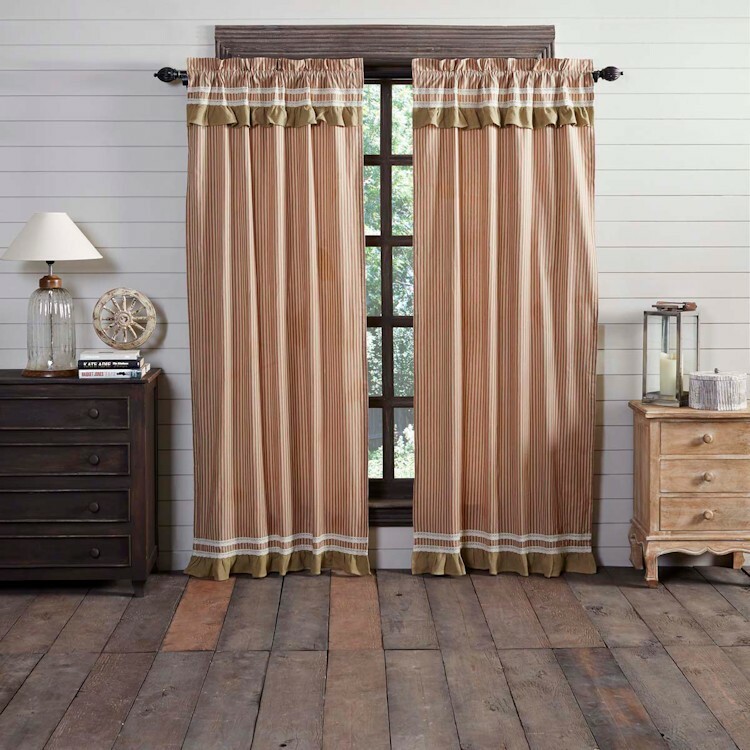 Be sure to add shams and a bedskirt for a unified look, and don’t forget the pillows, and coordinating drapes for the windows.